1 Pricebaba user have written their experience with Dell Inspiron 7559 (Y567502HIN9)(i7 6th Gen/8GB/1TB/4GB GFX/Win 10). 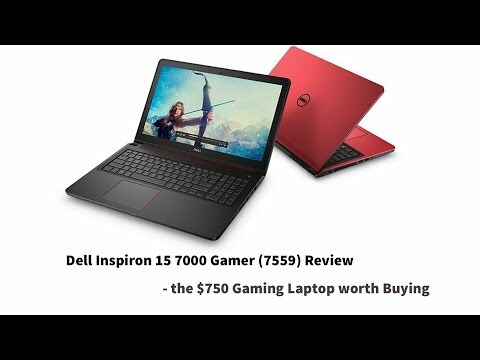 If you own Dell Inspiron 7559 (Y567502HIN9)(i7 6th Gen/8GB/1TB/4GB GFX/Win 10), please do leave your feedback too. Dell is a popular laptop manufacturing brand which caters to a wide section of audience. Its Inspiron series of laptops have many models with different specifications and features. Below is the detailed description of the 7559 model. The Dell laptop is powered by an Intel core i7 6th gen processor which is coupled with a massive 8GB of RAM. Owing to the superb combination of RAM and processor, multi-tasking and performance is quite seamless. To ensure a good graphic experience, the laptop comes with NVIDIA GeForce GTX 960M 4GB graphics. In terms of OS, it comes with Windows 10 pre-installed. The laptop comes with a 15.6-inch display which has a HD resolution of 1366x720 pixels. For listening audio, a headphone + microphone combo jack is provided. The laptop has got Realtek ALC3234 with Waves MaxxVoice Speakers for listening to audio without a headphone. With file transfer speeds of up to 5Gbps, this laptop is equipped with USB 3.0 technology. To connect to the intranet in an office environment, there's a Ethernet port available. The laptop has a 6-cell Li-Ion 74W battery which can last up to 10 hours. This Dell manufactured laptop is quite heavy at 2.57 kg. As for dimensions, the laptop measures 15.07 x 10.43 x 0.99.